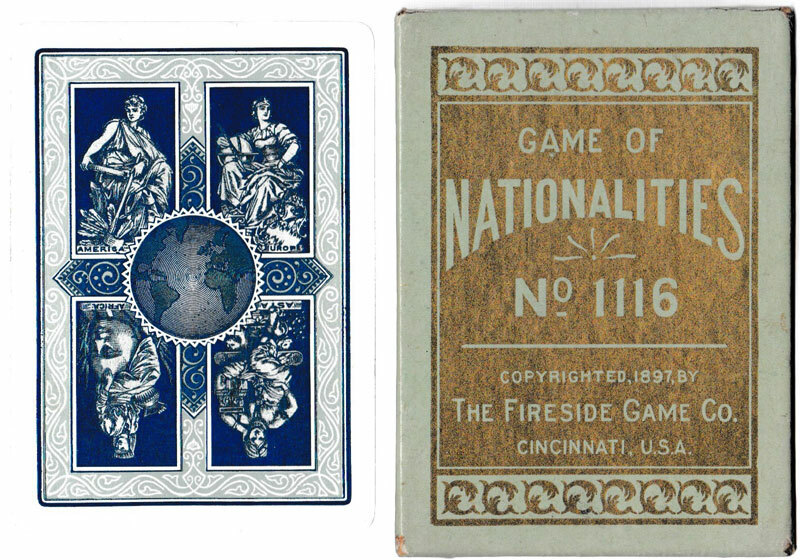 Above: “Nationalities” card game published by the Fireside Game Co., Cincinnati, Ohio, c.1897. 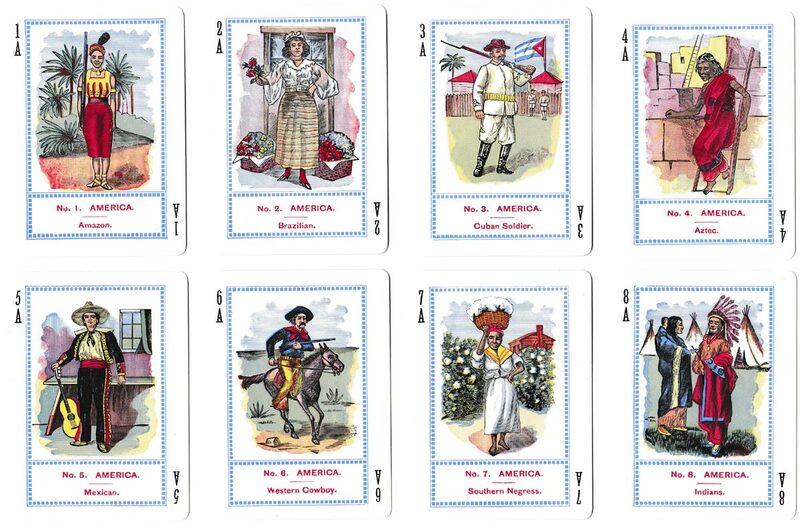 the Fireside Game Co. and the Cincinnati Game Co both belonged to the US Playing Card Co and the three names were used to published many games around either side of 1900. Lots of them were a bit dull with black and white or sepia pictures but all of them came in a nice lid + bottom box. Images courtesy Rex Pitts.